There may come a point after the installation of your product, that you wish to purchase another part of the IPS community suite. The following instructions will show you how to do this. From this page you can add any product you have not already purchased for that license. In addition, you can purchase any extras from that area, such as priority support, copyright removal, or even an increate in your chatroom limit. Once selected, you will be given the option to pay for the new product in the top right, as seen below. 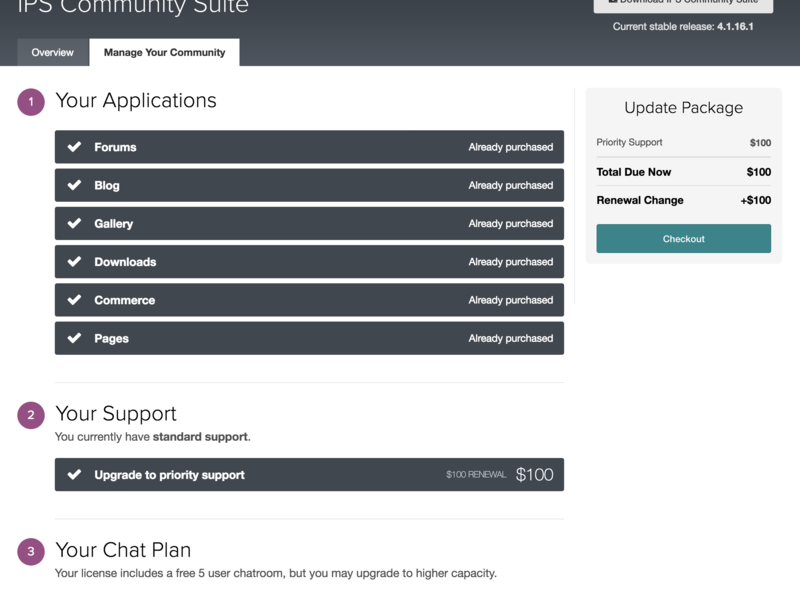 If you have purchased a new application, you then need to add this to your community suite. In order to do this, you would do the following. Download a fresh set of files from your client area. If you are unsure on how to do this, please see the following guide which will show you how to get this. 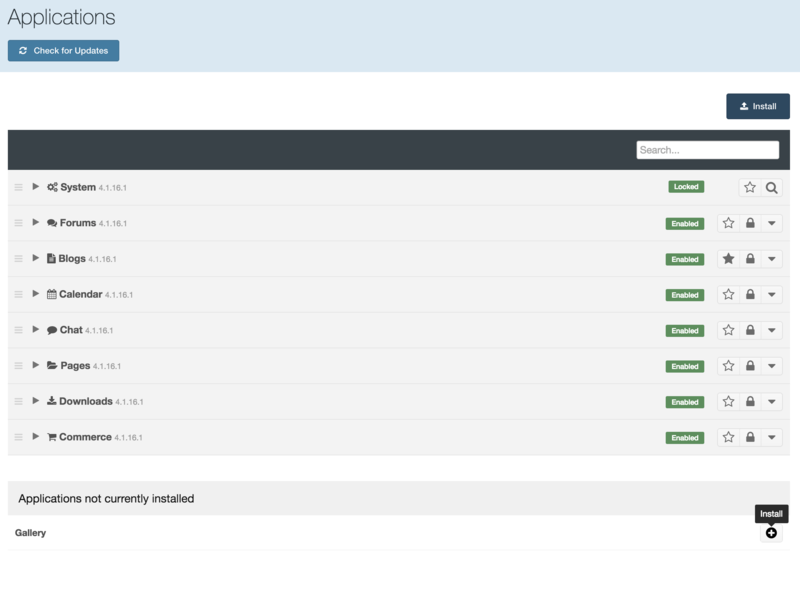 Log into your admin CP, and visit "System>Site Features>Applications". From here you will see that you can install your new application, using the install button provided. For example here, we will install the gallery application, using the + icon shown.